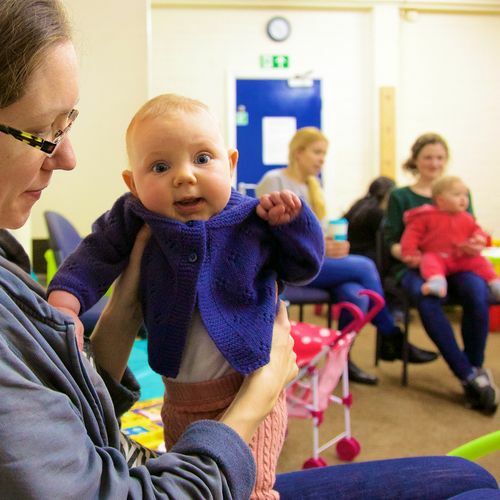 We welcome all children, however wriggly, to join us as we explore God’s love together through games, lively worship, interactive bible teaching, crafts, social action projects, friendships and many other wonderful ways! 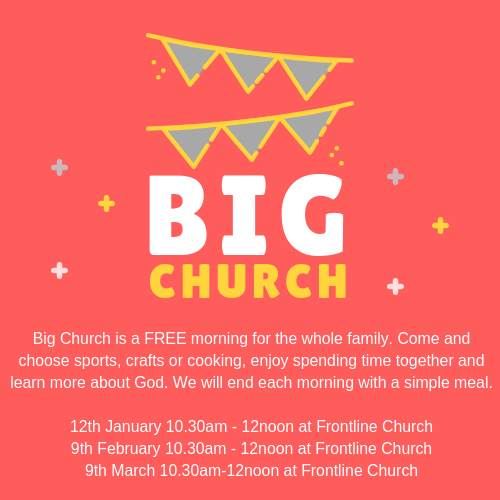 Children and families are an integral part of Frontline Church and we invite you to join us in any of these activities. Please register for Sunday morning kids groups at the beginning of the service. 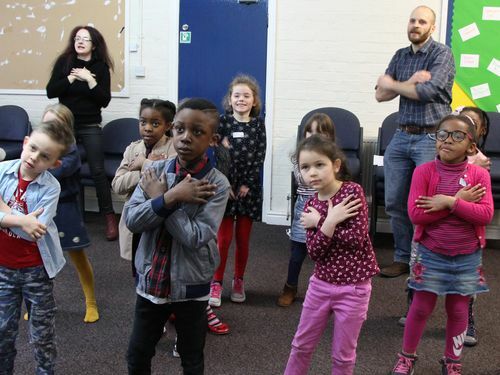 For children in years 3-6 who like lively games, circus equipment, bible stories that impact our lives, worship and opportunity to impact the world through projects and prayer! 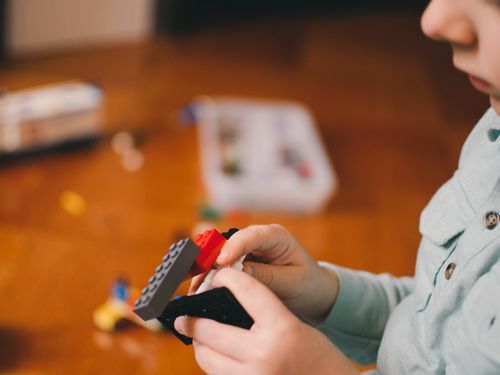 For children in years 1-2 who like a warm environment to play, craft, learn, share and enjoy friendship as they learn about God’s love for them. For children aged 3-5 who like play, doing and experiencing new and exciting things as they explore God’s great love for them. For children aged 1-3 who want to be nurtured and loved in a safe and warm space of toys, crafts, cuddles, music and love. For parents and their children under one, to listen to the service in a quiet lounge with coffee and cake available. 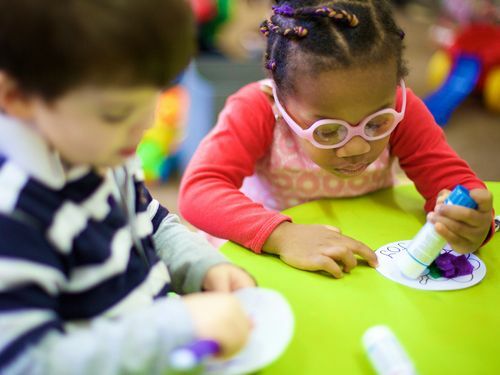 For any child who needs extra special care in a quiet, interactive and sensory environment. This room is run by two adults who are happy to serve any family or child who might value some quieter space throughout the service. 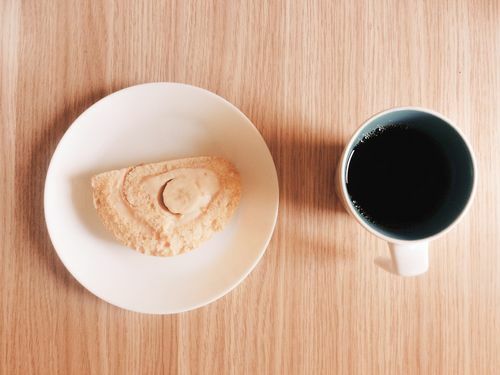 Each Tuesday a group of parents and carers alongside their preschool children meet for coffee, cake, prayer, singing and exploring their faith together from 10am-11.30am. 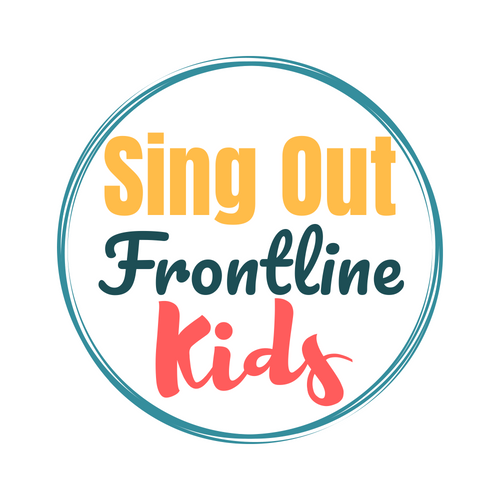 A fun and groovy choir for primary school aged children. Each Tuesday of term time from 4-5pm at Frontline Centre. All welcome. 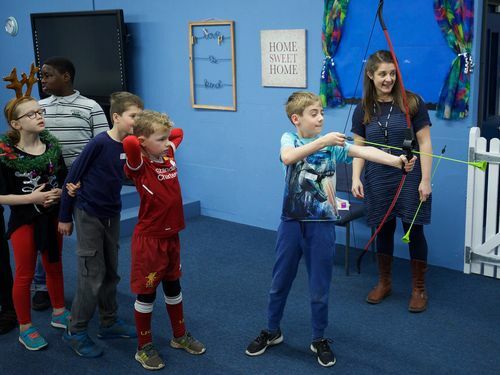 A free morning of sports, crafts and cooking for the whole family on the 2nd Saturday of each month, from 10.30am - 12pm, ending with a simple meal.